Name brand "POLAR" is a korean company known as "Samyang Optics.". They products Samsung SHD and D-Xenon(for DSLR) lenses (OEM). There is no A connecting point. 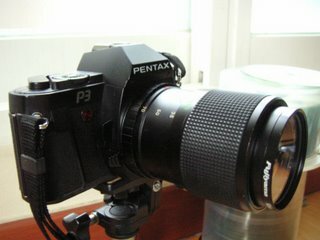 but it works well on Pentax P3 photo sensors. Sample pictures will be published on my blog.